Primer: The Fiscal 2019 NDAA includes impose a ban on technology products from Chinese firms such as ZTE and Huawei. Yet, North Korea has it courtesy of China. Private companies in China are not private at all. The Chinese state holds at least some stock and often a larger voting block. Private Chinese companies invests all over the world including Venezuela, United States, Britain as well as regions such as Latin America and Africa. You can bet most of those companies in North Korea are actually owned by the Chinese State. China does bad things and yet no world leader publicly states that fact nor declares China is an adversary while China has declared the United States as an adversary. President Xi, the now eternal ruler quotes a dynasty cliche ‘Tǒngzhì yīqiè zài yángguāng xià’, translation is rule everything under the sun. So now we have ZTE: ZTE, once the scourge of U.S. authorities for its violations of Iran sanctions, has become a key source of evidence about North Korea’s use of the American financial system to launder money, said the people, who gave details about the confidential investigations on the condition of anonymity. Federal investigators have been poring through data supplied by ZTE to find links to companies that North Korea has used to tap into the U.S. banking system, the people said. Using evidence from ZTE, prosecutors on June 14 filed a case seeking $1.9 million held in six U.S. bank accounts in the name of China’s Mingzheng International Trading Limited. Prosecutors allege that Mingzheng is a front company for a covert Chinese branch of North Korea’s state-run Foreign Trade Bank. Between October and November 2015, Mingzheng was a counterparty to 20 illicit wire transfers in violation of the International Emergency Economic Powers Act, according to prosecutors. On Aug. 22, prosecutors in Washington filed a lawsuit seeking more than $4 million in funds tied to China’s Dandong Chengtai Trading Limited and a network of companies owned by Chi Yupeng, a Chinese national with close ties to North Korea’s military. That same day, the Treasury Department added Dandong Chengtai Trading and several of its business affiliates, as well as Mingzheng, to the sanctions list. More here. During the negotiations for the talks between Kim Jung Un and President Trump, ZTE was thrown in the mix. Why? China made some demands during recent trade talks. It was just announced that Trump imposed a $1.5 billion fine on ZTE and relayed that to President Xi. More negotiations and the final fine was $1.3 billion and alter the Board members of ZTE, which means that China state cannot have any management or vote. China will skirt that too. How so? AEI explained it for us and quite well. One of the substantial challenges in curtailing North Korea’s nuclear program is preventing Chinese companies from doing business with their pals in Pyongyang. Usually, Chinese companies in North Korea operate through networks of shell companies to avoid falling afoul of US and international sanctions. And most of these companies are small in scope and can easily rebrand themselves if caught. Enter Zhongxing Telecommunications Equipment (ZTE), not a small, expendable subsidiary, but instead a large PRC state-owned enterprise (SOE) with over 74,000 employees. ZTE has transferred US technology to North Korea, supplying the Kim regime with US telecommunications tech that strengthens its defense capabilities by allowing it indirect access to US semiconductors (dual use technology for communications). For that and other transgressions — including violating US Iran sanctions — ZTE paid a monster fine and entered into an agreement with the US to cease and desist. It was caught violating that agreement and banned from business with the United States as a result. But President Trump offered China’s state-owned ZTE a lifeline via a May 13 tweet. Apparently, all that it took was for Chinese President Xi to dangle access for US agriculture exports to China in exchange for allowing ZTE to continue to do business with American firms. For what it’s worth, the president denied intending to lift the sales ban, but then followed up to describe a punishment that includes lifting the sales ban. What’s Donald Trump’s message to Beijing (and Pyongyang and Tehran)? Companies that matter to China’s top leadership can violate US sanctions with impunity. All it takes is the will to blackmail the US and large Chinese SOEs will have carte blanche to supply the rogue regimes of the world. Remember, Chinese SOEs that do business with North Korea are not motivated merely by profit. Instead, they are motivated by policy directives that originate in the Chinese Communist Party. 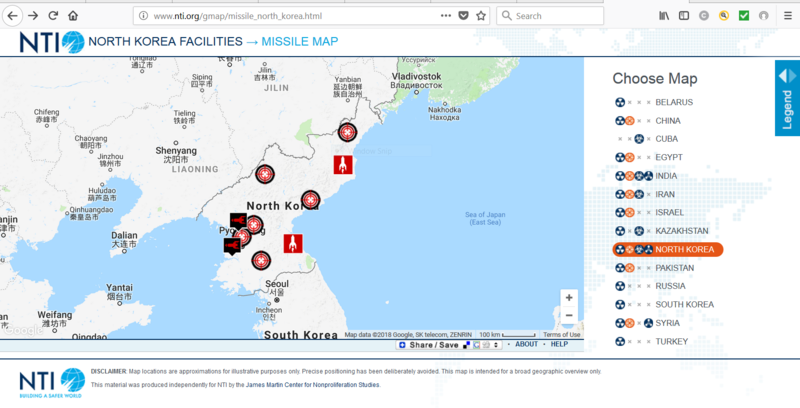 Historically, China’s position on North Korea has been fairly opaque, yet its continued trade with the regime indicates Beijing has an interest in its wellbeing, in direct opposition to US interests and overall security in Asia. At the end of the day, President Trump says he wants to cripple North Korea’s nuclear program. If North Korean dictator Kim Jong Un won’t denuclearize voluntarily, the US will have to rely on “maximum pressure,” including aggressive sanctions. Forgiving ZTE for violating US law is yet another example of the US shooting itself in the foot in dealing with North Korea. And probably not the last. Posted in #StopIran, China, China aggression, Citizens Duty, Cyber War, Department of Defense, DOJ, DC and inside the Beltway, Failed foreign policy, FBI, government fraud spending collusion, IAEA International Atomic Energy Agency, Industry Jobs Oil Economics, Legislation, Military, North Korea, Presidential campaign, The Denise Simon Experience, Treasury, Trump Administration, Whistleblower.